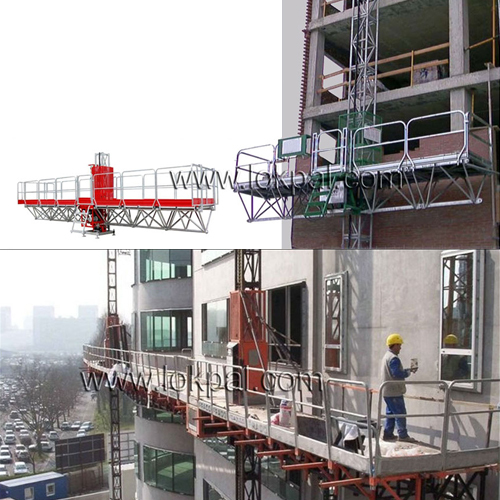 The Mast Climbing Work Platform is a perfect platform for all Brickwork, Plastering, Glass and Aluminium Fixing, Painting & Facade Restoration work. It is a flexible lightweight transport platform easy to shift from place to place. Max. Height 120 mtrs. 120 mtrs. 120 mtrs. 120 mtrs. Anchoring Distance 6 mtrs. 6 mtrs. 9 mtrs. 9 mtrs. Max, Platform Length 8.9 mtrs. 25.0 mtrs. 11.8 mtrs. 32.5 mtrs.